It's here! It's here! It's finally finally Readathon time! I'm in for the full day this time around, folks, and will be updating throughout the day here, with memes and (if I can make it work) a Storify of other social media activity, as well as on Instagram and on Twitter. I'll also be cheering as part of #teamfrodo on Twitter all day! 17! That's about when I fell asleep. 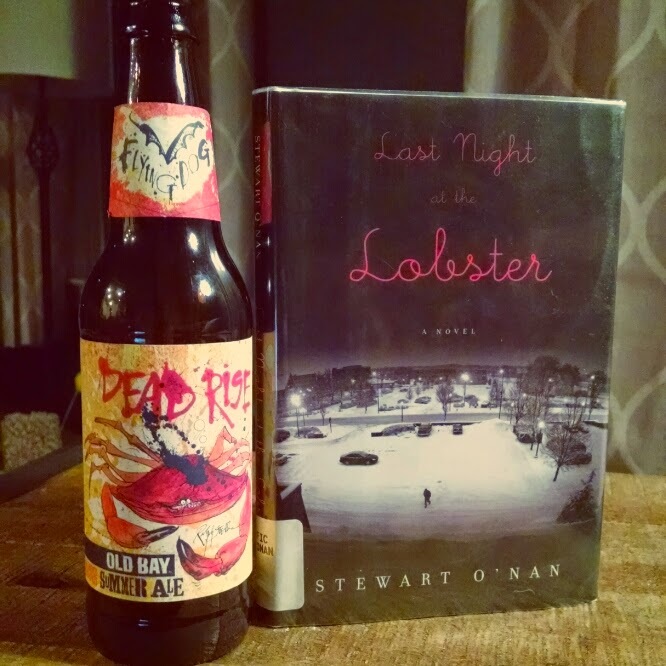 Last Night at the Lobster was great, and perfectly readathon-sized. Not really! For myself, though, choose shorter books, dammit. The cheering! So much energy. Only finished one cover-to-cover, but read some of six in total. Section 6 of Cloud Atlas, because it's written in dialect and was a bit of a trudge to get through; worth it, though! Space out your cheering! And if you can, consider making a Twitter list of your team's blogs/channels; lots of people link their other updates to Twitter, so you can stay on top of them there, too. DUH. I'm up for whatever needs helping with! Snacks consumed: None, but those promised cookies & milk are happening before I turn in for the night. Snacks consumed: I was too busy gushing over the reading nook for snacks, but I see milk and cookies in my not-so-distant future. Hour 15: A Whole Book! I switched over to something shorter and/or found my reading groove: I finished my first whole book of the day just a few minutes ago. I got distracted again after my last update watching more coverage of the Baltimore protests, but then decided that watching from afar wasn't actually going to change anything (nor was it healthy for my overall sanity...), so put my phone on the other side of the room and tucked into Last Night at the Lobster. Which was excellent. Snacks consumed: The Beard had to run back to Home Depot for more supplies for his current project, and stopped for Chinese while he was out. 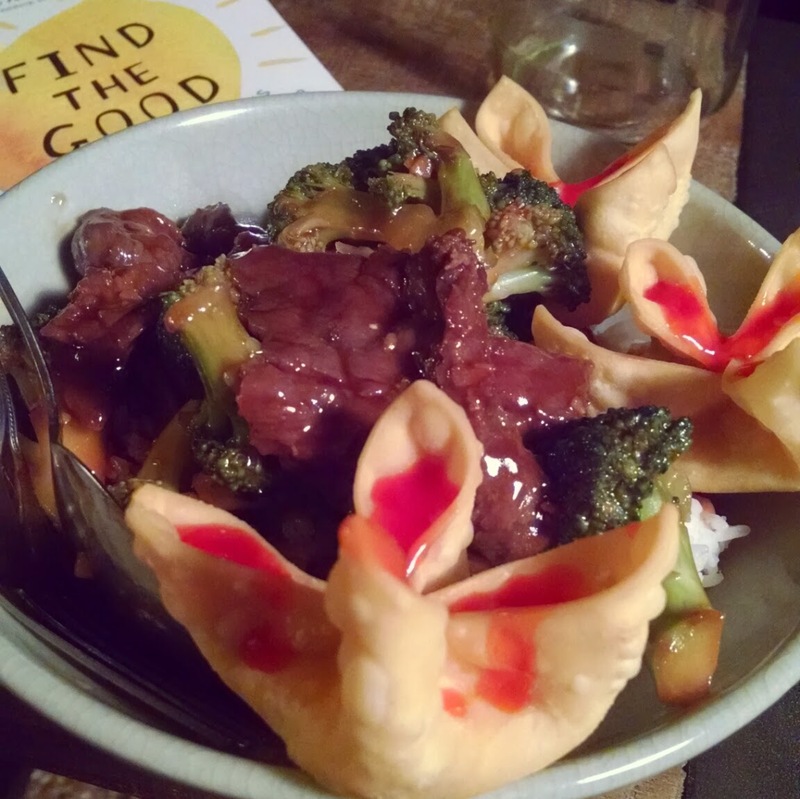 Crab rangoons, beef & broccoli and steamed dumplings = no complaints for me. Oh, and an Old Bay beer for dessert, because MARYLAND. We're almost at the end of hour 12, which means we're almost halfway there! After a shower and a dog walk, I settled down with a cheese plate for a bit and got engrossed in some of the horrible news coming out of Baltimore at the moment. One eye on the protests, I did finish the last 60 pages of Find the Good, which I'd started earlier this week, so now I've officially (sort of) finished one book today! 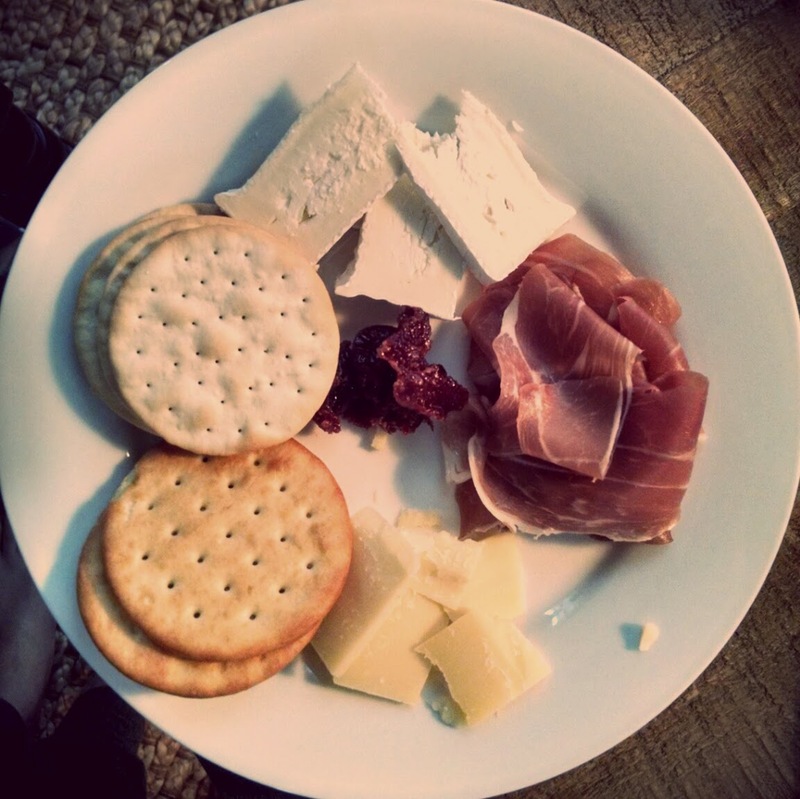 Snacks consumed: CHEESE PLATE. And some iced tea that I wished was hot tea because it is not warm outside or in my house. 1. What are you reading right now? 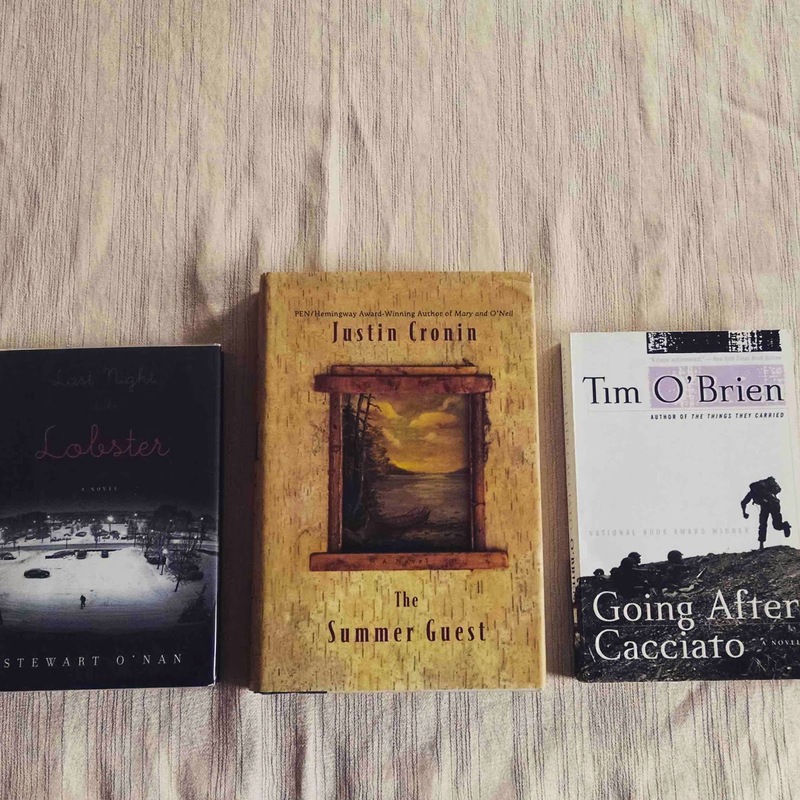 I just finished Find the Good, and will be picking up Last Night at the Lobster by Stewart O'Nan next. 2. How many books have you read so far? I've read some of four books, all of none. 3. What book are you most looking forward to for the second half of the Read-a-thon? Last Night at the Lobster and either the second half of The Underground Girls of Kabul or finally starting Wild or... whatever I find I'm in the mood for! 4. Have you had many interruptions? How did you deal with those? Not too many; my husband has pretty much left me alone all day, and he's just gone out to pick up Chinese for dinner. 5. What surprises you most about the Read-a-thon, so far? My lack of attention span: I keep jumping around to different books, but haven't finished a whole one yet. Holy cats, how did it get to be hour 10 already!? We are on a ROLL, friends. I've been entirely sucked into The Underground Girls of Kabul, which I expected to be an interesting story about Afghanistan--which it is, but it's also a fascinating exploration of gender identity, gender norms, feminism, and so much more. That said, I'm still going to switch over to a little fiction for a bit next (and something short): either Last Night at the Lobster or the first volume of Locke & Key. But first: I need a shower, the dog needs a walk, and it's juuuuust about time to prep that CHEESE PLATE. Snacks consumed: I was too engrossed in my book to round up new snacks in the last two hours. Now that is saying something. How have two more hours passed!? Somehow that two-hour window between my last update and this one only resulted in one hour of reading, but that's ok. On deck at the moment is The Underground Girls of Kabul, which I'm reading for book club on Tuesday. It's good, and for such a heavy subject, a rather quick read so far, so while I don't expect I'll finish it entirely today, I'll make some more headway before switching over to something shorter. I do want to finish at least ONE whole book today. Snacks consumed: The Beard surprised me with Jimmy John's, and I'm breaking into my stash of flavored seltzer waters. 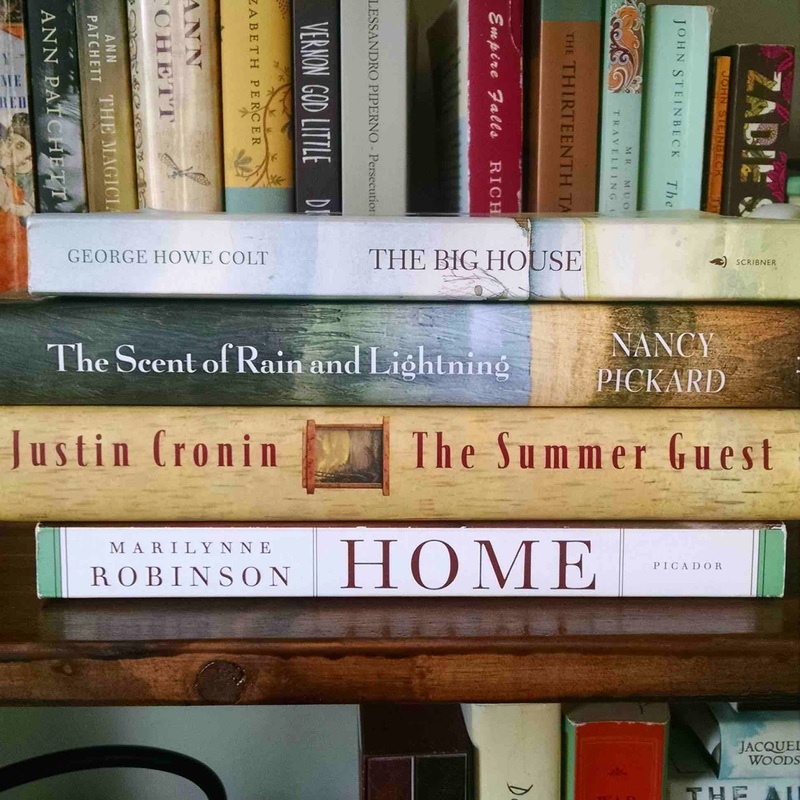 And Ticket to Anywhere is asking for book spine poetry! Phew. Two and a half hours of near-straight reading time on Cloud Atlas (with, yes, a few breaks for peeks at Twitter and Instagram...), and I am through Section 6. I intentionally started with Cloud Atlas today because I know I appreciate it most when I read it in large chunks, but it also takes a certain level of brainpower that I wouldn't have later in the day. I was right on both counts: time for a new selection! I overslept a bit this morning, so spent the first hour of Readathon with The Secret Place on audio, making coffee and breakfast, letting the dog out, getting my space all set up. Now that I'm well-fed and curled up, I'm working on Section 5 of Cloud Atlas, which is excellent but a bit slow going. I'll give it a bit more of a push then switch to something lighter. Ok, stepping away from the computer for a bit now so I can focus on Cloud Atlas. I'll be back in a few hours for more cheering and another update! Hour 1: The Starting Line! Frederick, Maryland, where it is a gloomy overcast 38 degrees (hello, Spring!). 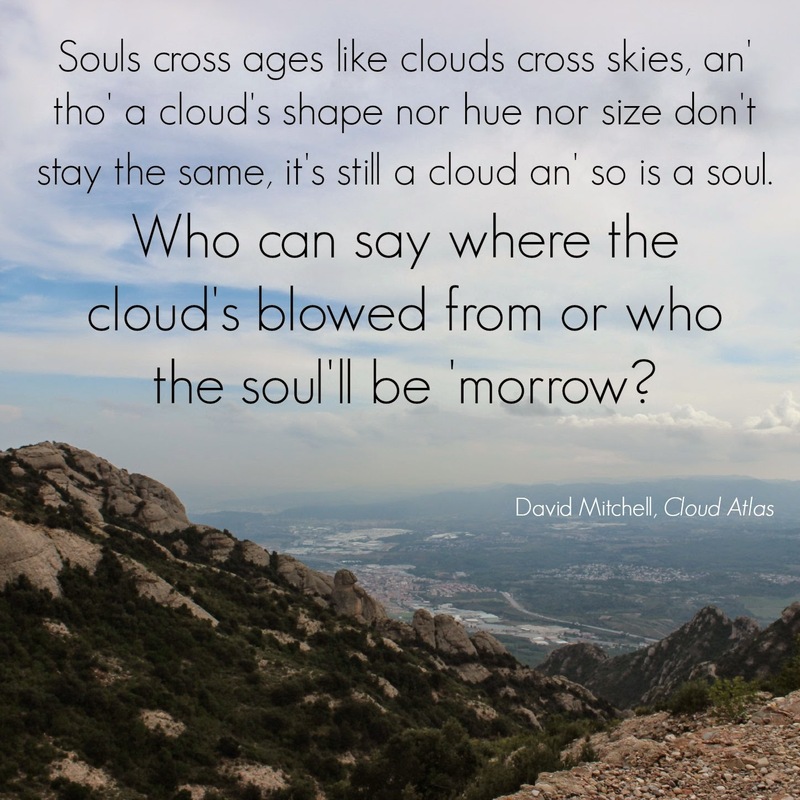 Maybe catching up on Cloud Atlas for the #CloudAtlasAlong, or The Walls Around Us. This is my fourth or fifth readathon, and I've often been unable to avoid social plans, errands, chores, work, etc. during the 24-hour period. Today, I've got the day completely to myself, and I plan to make the most of it! I'll be catching up on some reading obligations (book club, a readalong, and two review copies for Shelf Awareness and BookSpan, where I write), and then hope to turn to fun stuff. My eyes are clearly bigger than my head. I'm donating to charity again this time around, but have added a per-book-finished bonus--as well as a per-cheer-received donation! Also, in the past, I've picked large, national charities where my $25-75 doesn't have a huge impact; this year, I'm donating to a small project through DonorsChoose.org, and with my company's match of my donation, could go a long way towards helping them reach their goal. 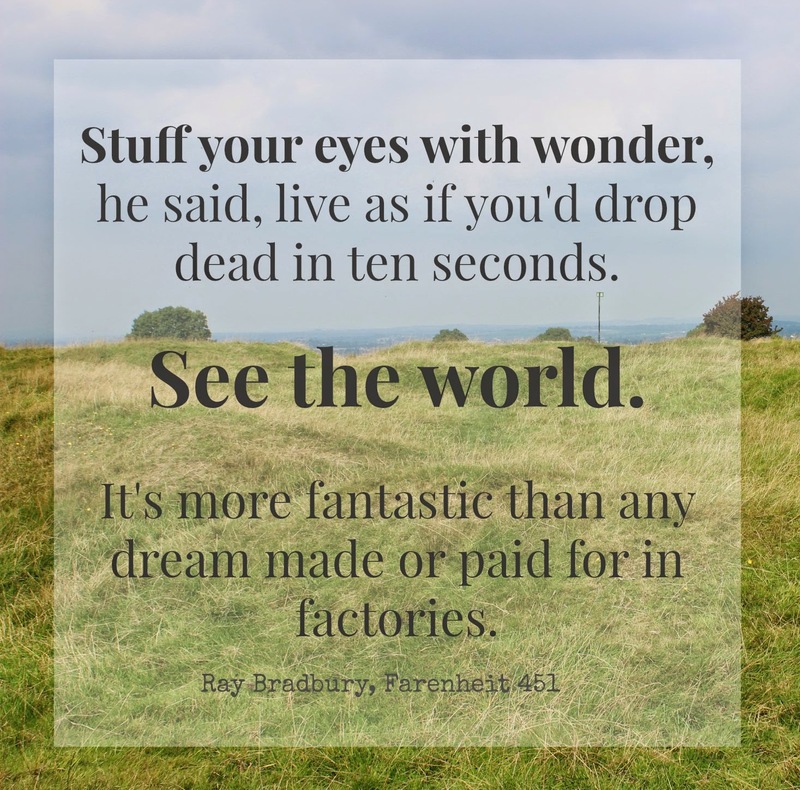 Oh, I do love Cloud Atlas. Hope you're enjoying it! Happy readathon day. Love Cheetos! Enjoy. READATHON! Best day ever, right?! I love love love that you're cheering AND reading AND donating AND eating cheese. #TeamPopper is lucky to have you on our roster. #RahRahReadathon! I'm so glad you've got the whole day to yourself today! Happy reading! Kudos for reading Cloud Atlas today! You are awesome! Why am I here? Oh, right, cheering! You're doing awesomely and I hope you're having tons of fun. And cheese. Have you had enough cheese? Psych, there is no such thing as "enough cheese". Eat more! I recommend Last Night at the Lobster, and think I'm going to copy you with the cheese plate idea. That sounds AMAZING right now. I can't believe you tackled Cloud Atlas on a readathon. Impressive! And also, yes to all things cheese. I love having a readathon day where I have no obligations. It's the best! Happy readathon day! Your cheese plate looks delicious. The books you're reading also sound delicious :) Happy readathoning! Oh wow! Congrats on such wonderful present! Enjoy it! The readathon has been great so far. Your pictures look great. You had fun! What a great readathon you had, Kerry! So much good food (CHEESE PLATE), so many good reads and what a lovely surprise from The Beard! 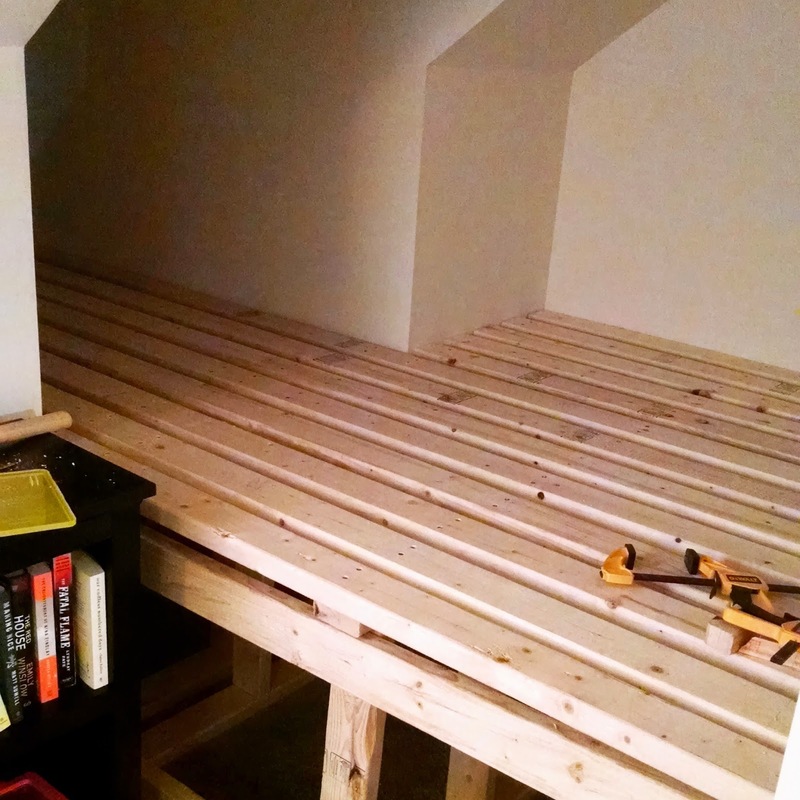 I can't wait for next readathon already, when I will absolutely be making that nook into the official household readathon headquarters.